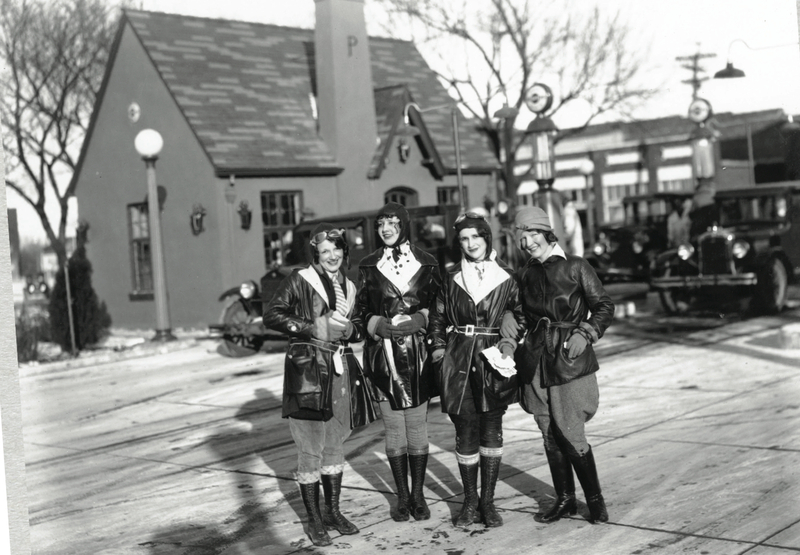 The Phillips 66 Highway Hostesses, Courtesy of the Phillips 66 Company. An intelligent educator, historian, and activist; a brave entrepreneur who aided African-Americans traveling along the route; a community oriented advocate faced with an environmental disaster. These are just some of the lesser-known stories of incredible women who lived and worked along Route 66. But this is about to change as Katrina Parks, writer, director and producer, embarks on a new project that aims to shed light on the impact and influence of women on the route. When Parks began researching women’s stories along Route 66, there were few stories, and none of them very diverse in terms of ethnicity and female representation along the route. “I thought there was definitely a need for more exploration,” said Parks, and so she created The Women On The Mother Road, a website and documentary that collects the oral histories of women along Route 66. The project aims to create a public history record of diverse women’s experiences, spanning decades of life on Route 66 from Chicago to Santa Monica. Often, women are cast as secondary characters, assisting their husbands with the storefront or motel. When women are afforded the primary role, they largely accomplish things in the domestic sphere. They are migrant mothers or women tending to their children and house. They aren’t educators, business owners, or mayors. While historically, the narratives surrounding women on Route 66 has been limited to certain roles, Park discovered, that women have been quite busy up and down the old road and The Women On The Mother Road project is giving a voice to what historians have left out and is showcasing the limitlessness of what women can do. Meet Fabiola, Alberta, and Marilyn, a few of these incredible women whose stories and influence on Route 66 is being captured. In 1894, Fabiola Cabeza de Baca was born to a ranching family in Las Vegas, New Mexico. Although women in her family’s class bracket weren’t allowed to perform manual labor, Fabiola broke these gender roles and rode with her father and grandfather to oversee the ranch whenever she could. Fabiola took her first job as a schoolteacher in rural Guadalupe County even though her father was strongly opposed to her working. Teaching in a rural, one room, school house came with many challenges; the school had outdated books, no bathroom, and no running water. Her students often attended school for only part of the year as they had to work in order to help their families survive. When they did attend, they came from all kinds of backgrounds, which made teaching very difficult. Despite the challenges, Cabeza de Baca persisted. She used her own money to purchase school materials and she fashioned her own bilingual reader. For the next ten years, Cabeza de Baca taught at various schools, before going on to earn two degrees, one from New Mexico Normal in Pedagogy and one from New Mexico State University in Home Economics. Cabeza de Baca became intrigued by the field of home economics, a new field which applied progressive goals of efficiency and science to the kitchen and family. She went on to become an extension agent for thirty years, where she taught men more efficient crop and livestock practices, and women lessons in nutrition, food preservation, food preparation, and home technology. By doing this, it would allow those residents to stay in rural areas rather than to be forced to move into cities. Because of her job, she was constantly traveling on Route 66. She was also the only agent that spoke Spanish, which was essential since sixty percent of New Mexico’s population was Spanish and over half of the entire population spoke no English. Without Cabeza de Baca, the other agents couldn’t help the people they intended to due to the language barrier. In 1929 she eloped with Carlos Gilbert, an insurance agent and member of the League of United Latin American Citizens (LULAC). Although they divorced after ten years, it was most likely his involvement in the LULAC that got Cabeza de Baca first involved with the early Hispanic civil rights movement. When a train hit her car in 1932, resulting in the need to amputate her leg, Cabeza de Baca didn’t let that stop her work. After recovering, she went back on the road and began compiling notes about village traditions, such as recipes, folklore, and religious rituals. Cabeza de Baca began writing and publishing many articles and books as a means to preserve cultural practices. She saw writing as a potent form of social action. Later in life, Cabeza de Baca developed home economic programs in Mexico, just as she did in New Mexico. She was also one of the women who founded the Sociedad Folklorico de Santa Fe, an organization dedicated to preserving Spanish culture, folklore, and traditions. Fabiola Cabeza de Baca died in Albuquerque in 1991. She dedicated her life to education and the preservation of Spanish culture. She persevered in even the most difficult situations and bettered the lives of many. During the Jim Crow era, traveling as an African American wasn’t exactly the idyllic road trip we often associate with Route 66. Families had to pack food, arrive before nightfall, and meticulously plan their stopping points for their own safety. In order to do this, travelers relied on Victor H. Green’s publication, The Green Book, published from 1936-1966. This book acted as a travel guide providing African American travelers information about safe lodgings, restaurants, and more. The Green Book was crucial for African Americans navigating the West where lack of segregation laws made it extremely difficult to know where they would be served. But one woman in Springfield, Missouri, saw a need and decided to do something about it. 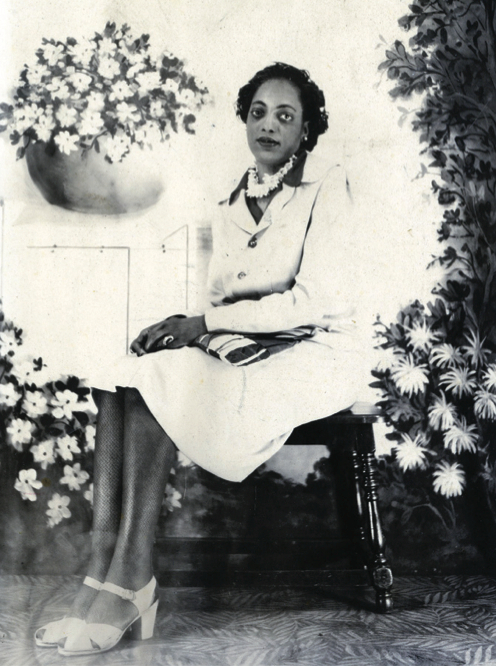 Born in Springfield in 1909, Alberta Ellis opened up shop in the ‘40s to provide safe spaces for African American travelers that they so desperately needed. Alberta Ellis might have worked eight-hour days at the Bell Telephone Company, but that didn’t stop her from being an entrepreneur. She started with Alberta’s Snack Shack, which served as a place to buy soda and candy for travelers. Then, she opened Alberta’s Motel, where rules of segregation did not exist. When a military troop stopped in Springfield, they didn’t want to be separated based on race, so they stayed at Alberta’s Motel. Her hotel even came to house many famous people over the years, like Roy Hamilton, Ray Charles, Meadowlark Lemon, and Goose Tatum. Alberta Ellis in Springfield, MO. Courtesy of Missouri State University Library and Archives. From the motel, she created the Rumpus Room, which acted as a place for young people to socialize and dance. But in order to get into the Rumpus Room, everyone had to have a good conduct card from Alberta herself, or you wouldn’t be admitted. The Rumpus Room was another place where school children of all races could hang out, instead of being separated by color. Then, Ellis bought a ten-acre farm about ten miles west of Springfield where she had orchards and animals. At the time, roadside parks were a safe place for African Americans to sit and have a meal outside of the car. Alberta’s farm acted as a space to accommodate those who may have missed turning into the city. Ellis had a strong work ethic, to say the least, and she instilled this work ethic into her grandchildren. One of her favorite things to tell them was that she wasn’t the First National Bank and they needed to learn to work for things. So, Ellis would give her grandchildren small tasks around the hotel to learn that work ethic. Alberta Ellis knew that times were changing, and she knew that once segregation ended, so would her businesses. She managed to sell the motel before businesses dried up, like it did for many other African American owned businesses after segregation became relegated to history. She died in Springfield in 1966. Ellis offered a much-needed safe space for African Americans through her businesses, and did her part to bring all kinds of people together by ignoring the rules of segregation. Times Beach was an idyllic summer-resort community situated along the Meramec River that drew people from St. Louis in search of a respite from the summer heat. Previously, the area had been a flood plain used for farming, but over time it was transformed into a suburban community with over 1200 year-round residents. Once the ‘50s came around with an upward trend of development, homes previously built on stilts were replaced with ground-level housing, as it seemed the flooding had subsided. During the ‘70s, the town developed a problem with dusty roads, so in the summers of ’72 and ’73, the city hired Russell Bliss, a waste oil hauler, to spray the roads to reduce the dust. The city couldn’t afford to pave the roads, so it was thought that spraying them with oil would be the best solution. On November 10, 1982, a reporter informed the city clerk that Times Beach was possibly among the sites sprayed with waste oil containing dioxin. The Environmental Protection Agency (EPA) confirmed the reporter’s information, but indicated that it could take as long as nine months before any soil testing could be done. It was then that residents recalled the effects from Russell Bliss’s spraying. The roads turned purple. There was an awful odor. Birds and newborn animals died. Residents couldn’t wait months for the EPA’s testing, so they pooled in their own money to do it themselves. Only then, did the EPA accelerate its testing program. However, things only got worse. In December of 1982, the town flooded, the worst in its recorded history, and on December 23, residents learned that there were dangerous levels of dioxin in the water. They were told to leave their homes. Many residents wrote letters and signed petitions requesting a buy-out or relocation of the entire town. During this time, residents fell into depression and alcoholism, domestic violence increased, marriages ended, people fell ill. 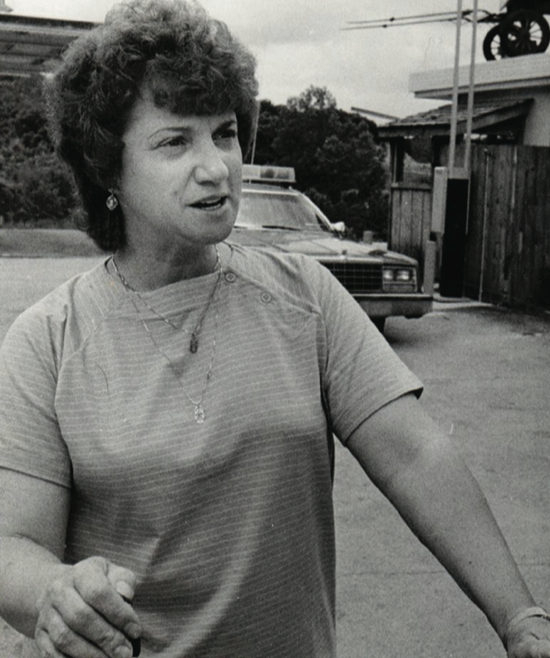 The town was falling apart, but Marilyn Leistner could not. Elected in 1981 as alderwoman, Leistner was actively working to solve this crisis. But when the town learned that some present government officials were aware of the possible contamination of the community as early as 1972, the community no longer trusted their government leaders. They made threats. The pressures on city officials became so great that two mayors resigned, making Leistner Chairman of the Board of Aldermen. The Mayor then began repeatedly talking about leaving. He was on the edge of a nervous breakdown and was hospitalized for several weeks. He resigned and Leistner became Acting Mayor. Leistner worked to accelerate the buy-out for the town, but when offers began, they were low. Only after spray painting the offers on their houses and gaining media attention did the offers improve. When they did, residents took the buy-out and Times Beach was buried. Leistner’s whole family has had health problems because of exposure to dioxin. But despite so many hardships and tragedies, she continues moving forward. For the past fifteen years, Leistner has been an alderwoman in Eureka, Missouri. She is also president at the Eureka Historical Society, which allows her to keep an account of the history surrounding Times Beach. The land that used to be Times Beach is now Route 66 State Park, representing the renewal that is possible after hardship - something Leistner is living proof of. Marilyn Leistner in Times Beach, MO. Courtesy of Marilyn Leistner and Sue Olsen. For more information, you can visit the route66women.com website to see many of the excerpts from interviews with the women on Route 66. Or, you can visit The Women On The Mother Road Facebook page to see recent updates on the project as well as any information about upcoming events.